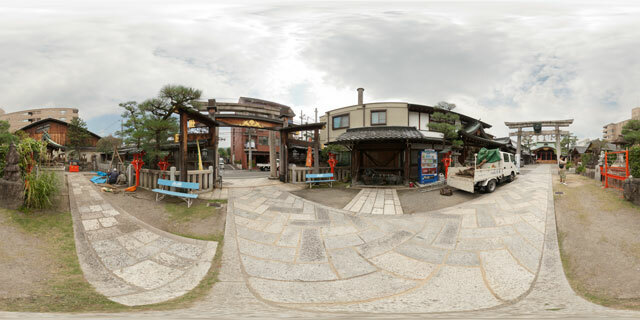 360° VR panorama just inside the entrance of the Ebisu shrine in Kyoto, Japan. Ebisu is one of the seven gods of fortune. During his festival, from 8th to 12th of January, Business people visit the shrines dedicated to him to pray for prosperity for their businesses. The shrine in Kyoto is the third most popular Ebisu shrine in Japan. Ebisu was originally enshrined in Kyoto at the Kenninji Temple, built in 1202. The current shrine was established after the temple burnt down in 1467.